Jupiter, Saturn, Mars and summer objects are up now! Wine Country Star Gazing is a fun and educational addition to the entertainment for your next evening event. Located in Napa, California, your star guide Michael is available for private events, schools, and community outreach throughout the North Bay. We have a large 16" split ring, as well as a 16" and a 12" Meade Lightbridge truss tube dob. This is an experience people will remember for the rest of their life, and will forever associate the memory with your business or brand. 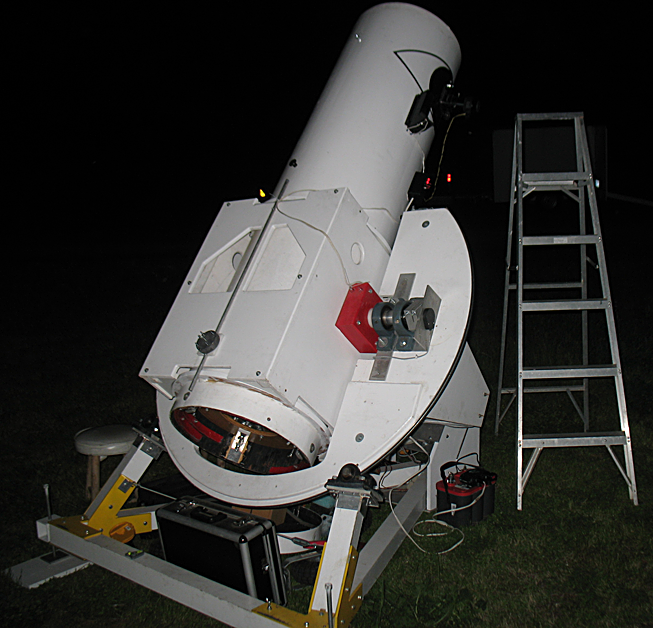 Our flagship instrument is a 16" Newtonian on a split ring equatorial mount called Cyclops, but we also have the same size mirror in a more portable telescope, the 16" Lightbridge. The view through these telescopes is not a little backyard telescope kind of view. Views are breathtakingly large and bright. Looking in the eyepiece you have to look around to see it all. It is like having your face pressed up to a spaceship window. There is a parallel with astronomy and music: to enter upon the visual experience of looking deep within the night sky one must employ an instrument. Like a fine musical instrument, the telescopic instrument is hand built and consists of a large, long tube and bits of finely crafted wood and metals. There is a balance bar, and the need for tuning of the mirrors. The reed of this instrument is glass, and the result it creates, the fruit of the mechanism and it's various precisely aligned components, is visual instead of aural. Just as a great musical instrument can create a moving experience, so can the view through a great telescope.